PHOENIX – Rep. Sonny Borrelli, R-Lake Havasu City, says too many laws and edicts from Washington are interfering with the individual rights of Arizonans. To combat this, he suggests Arizona assert its sovereignty when state leaders or voters determine that one is unconstitutional. That’s the essence of a ballot measure to be decided in November. 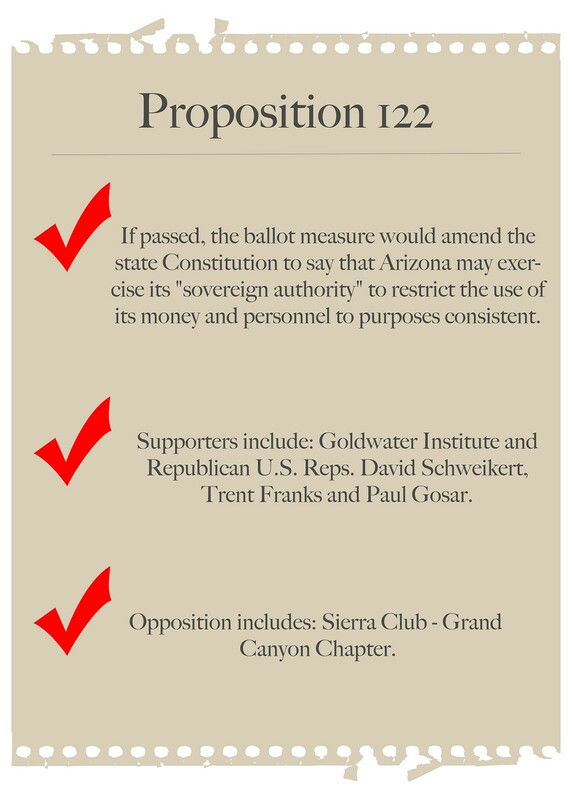 Proposition 122 would amend the state Constitution to say that Arizona may exercise its “sovereign authority” to restrict the use of its money and personnel to purposes consistent with its Constitution. 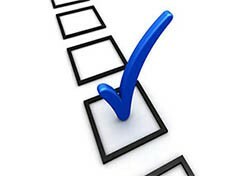 It’s the second straight election with sovereignty on the ballot. In 2012, voters soundly rejected a ballot measure that would have asserted Arizona’s control over its natural resources. The Legislature referred the matter to the ballot based on a 2012 resolution authored by state Sen. Chester Crandell, R-Heber, who died in August after being thrown from a horse. Rep. Debbie Lesko, R-Peoria, who voted for the resolution, said that Proposition 122 acts as more of a mechanism than the previous ballot measure. Yes On 122, the main group supporting the measure, had raised $275,600 through Sept. 15, $257,000 of it from Jack Biltis, a Cave Creek resident and CEO and founder of TAG Employer Services, a provider of payroll and human resources services for businesses. In 2012, Biltis organized and contributed $1 million toward an unsuccessful effort to get the issue on the ballot as a citizen initiative based on petition signatures. Voicemails messages left with Biltis’ office weren’t returned. Even if the proposition passes, Arizona wouldn’t be considered a sovereign state, according to Paul Bender, who teaches state and federal constitutional law at Arizona State University’s Sandra Day O’Connor College of Law. Sandy Bahr, director of the Sierra Club’s Grand Canyon Chapter, which is opposed to Proposition 122, called it another bad idea from an Arizona Legislature. Bender said that states have power over the federal government in choosing to enforce federal law with state law enforcement agents But one way the federal government holds power over the state is through funding, which Bahr said Arizona shouldn’t be wasting to make a statement. Arizona’s Constitution says that the U.S. Constitution is the “supreme law of the land.” Borrelli said the new language would fulfill the hopes of the Founding Fathers. 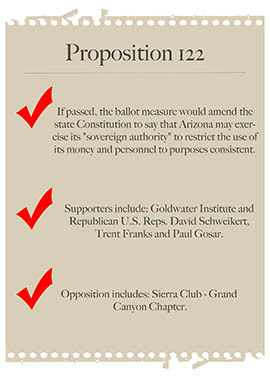 Click on the image to review a graphic with key facts about Proposition 122.